Geologically speaking, Shetland can be regarded as pieces of the ‘jigsaw’ that was assembled around 400 million years ago during the building of the Caledonian Mountains, known as the Caledonian Orogeny. The assembly of this ‘jigsaw’ was part of the collision process as plate tectonic forces drove together three ancient continents to form a larger supercontinent that geologists call Pangaea. 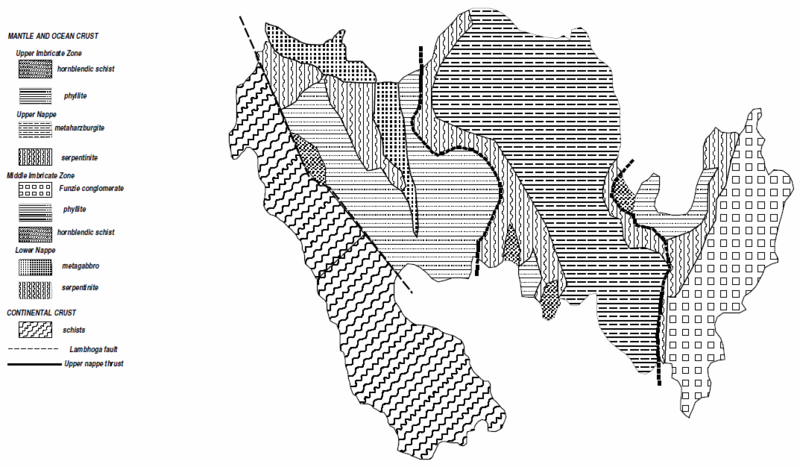 Sometimes the collision ‘scar’ or suture zone may preserve relicts of the oceanic crust that once separated the continental fragments. These rare relicts of oceanic crust are called ophiolites and on Unst and Fetlar we have an outstanding example of this. Zoom imageGeological map of Fetlar. 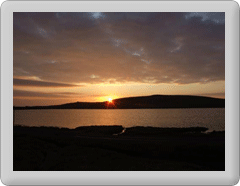 The schists and gneisses of the south-west side of Fetlar have the same provenance as those that make up the ridge of hills from Mossbank to Russa Ness on Mainland, the hills around Lunning and North Nesting, Whalsay and the west coast of Unst. Originally these rocks were sediments deposited around 580 million years ago as an ancient continent split apart. Later these were transformed to schists and gneisses by the heat and pressure of burial up to and during the building of the Caledonian mountain chain some 450 million years ago. 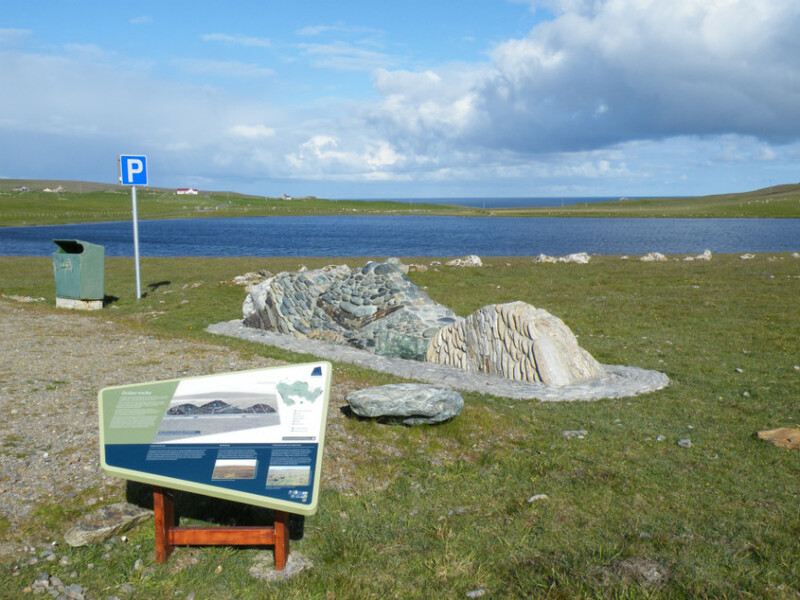 The overlying soils and vegetation produced by these rocks is noticeably different than that seen on most of the rest of Fetlar where rocks, that were once part of the Earth's crust beneath an ancient ocean (known as the Iapetus Ocean), produce very different soils and vegetation. The Iapetus Ocean formed when the ancient continent (then situated in the Southern Hemisphere) was so stretched by tectonic forces that it eventually split into two halves and new oceanic crust was created between them. By about 550 million years ago the Iapetus Ocean was easily as wide as the present day Atlantic. Some 60 million years later the direction of tectonic forces had changed. Now the Iapetus was shrinking as the rocks of its floor were being subducted (pushed beneath) converging blocks of continental crust carried by the tectonic plates of Laurentia (ancient America) and Baltica. An important feature of the rocks of the floor of Iapetus is that they are more dense than those rocks formed from the sediments (continental crust). This difference in rock density is what allowed the Iapetus crust to be pushed beneath the converging plates, but not all of it. In a relatively rare geological event large slices of the oceanic crust were pushed up over the continental crust (obducted) as the tectonic plates converged and Iapetus closed. In the eastern two thirds of Unst and most of Fetlar we see two slices (nappes) of this oceanic crust lying on top of the continental crust; geologists call these slices ophiolites. Sandwiched between the ophiolite nappes and beneath the lower nappe are a series of rocks (the imbricate zones) formed as the nappes were pushed into place. The middle imbricate zone is partly formed by rocks eroded from the lower nappe when it was exposed at the Earth’s surface and before the upper nappe was pushed up and over it. Between about 480 and 400 million years ago the tectonic plates carrying blocks of continental crust had collided and a mountain chain, as impressive as the present day Alps, had been thrown up. Over time the ophiolite nappes became caught up in the building of the Caledonian Mountains and incorporated into the mountain chain. Long periods of erosion since then have exposed the nappes and the other rocks we see in Fetlar today. 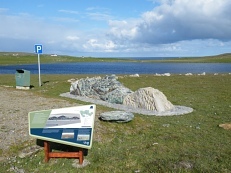 The rocks of the base of the upper nappe lie across the middle of Fetlar and were originally peridotite from the Earth’s mantle that partially melted as Iapetus opened; this depleted mantle rock is called harzburgite. The harzburgite was later metamorphosed by heat and pressure to form the serpentinite and metaharzburgite we see today. The melted fraction from the mantle rose up to build part of the oceanic crust and cool to form the dunite and gabbro that we now see metamorphosed to serpentinite, metadunite and metagabbro of the lower nappe. The rocks of the middle imbricate zone around Funzie are particularly fascinating. The rocks of the Funzie conglomerate were originally rounded boulders formed by the erosion of the lower nappe before the upper nappe was thrust over the top of it. The heat and pressure caused by the thrusting of the upper nappe over the lower squashed, stretched and stuck these boulders into the elongated shapes we now see today (especially at the beach at Funzie).